Download the 2018 Winter Pick n Spray Deals! 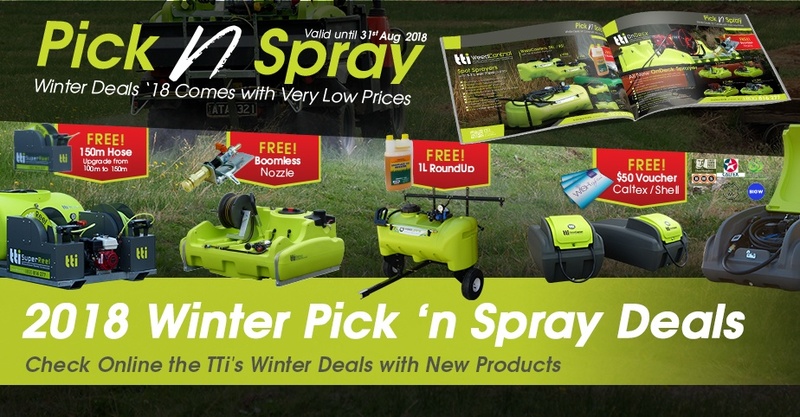 Simply click on the button below to download your copy of TTi’s Winter Pick n Spray Flyer! We’re almost one month in… Don’t miss out on these special offers! Download the 2018 Winter Pick ‘n Spray Deals! Boomless Nozzle is provided for free in your purchase of an OnDeck™ Unit! We give you 1 Litre Weed Killer for free in every purchase of a WeedControl™ Unit! Get your copy today or speak with one of our experienced and passionate consultants!